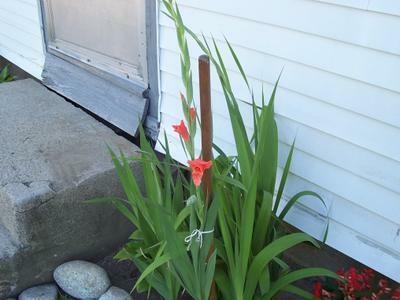 Earlier this year, at the end of May, I planted some gladiolus flowers in memory of my grandmother who had just passed away. My dad told me that they were one of her favorite flowers. They’ve been growing pretty fast, and this past week, they finally started to bud. Yesterday, they started to bloom! It looks like they’re going to be beautiful. It’s no wonder that Grandma liked these. 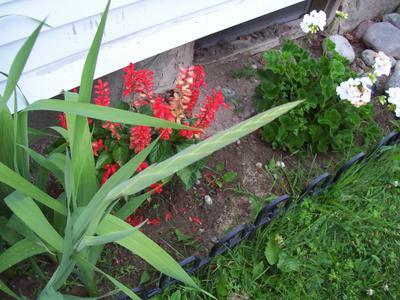 Next year I’m going to plant some more in different colors. If I remember, I only bought orange back in May. 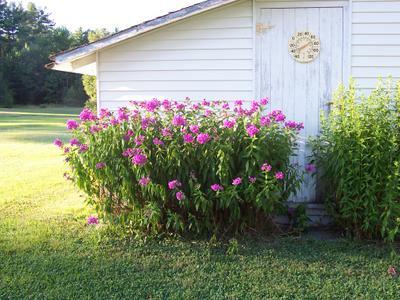 Back when we first moved here to Maine, I really thought this bush next to the house was dead. And since it took forever for anything to start budding on it, I continued to think this well into April. But now look at it! It’s very pretty. 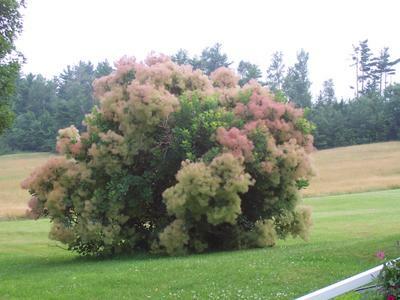 I had never even heard of a Smoke Bush before we moved here, and now I have a very nice one in my front yard. I can’t remember what these flowers are called, but they started blooming a few weeks ago. I was told they would start in late July, and they were right on schedule. On the right hand side of the door, the blooms turned out to be white and it took them a couple of weeks longer to bloom. You are currently browsing the Brandi\'s Blog blog archives for August, 2005.